Poured from a 22 oz bottle into a tulip glass. 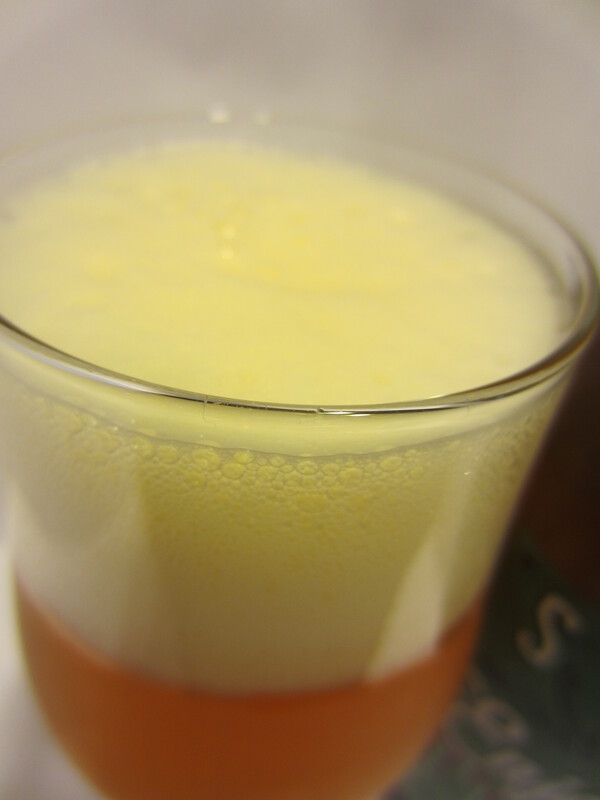 Enjoy By pours a hazy golden-yellow, which clears as it settles. The head is large and frothy, nearly white in color. 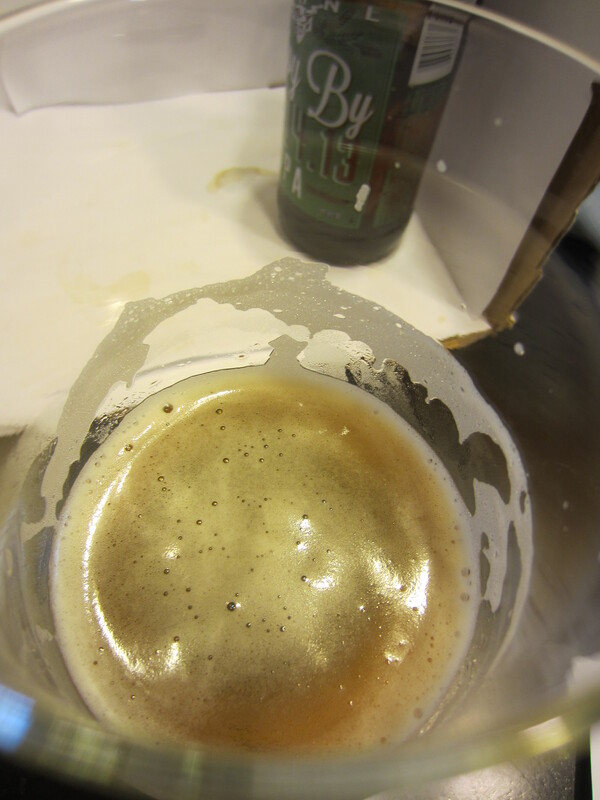 A moderate amount of carbonation is visible, and pretty standard lacing is left on the glass. The bottled on date is 5/31/2013, and I purchased this at BevMo in Fresno. Ample amounts of floral hops, grapefruit citrus notes, and faint undertones of sweet malts. 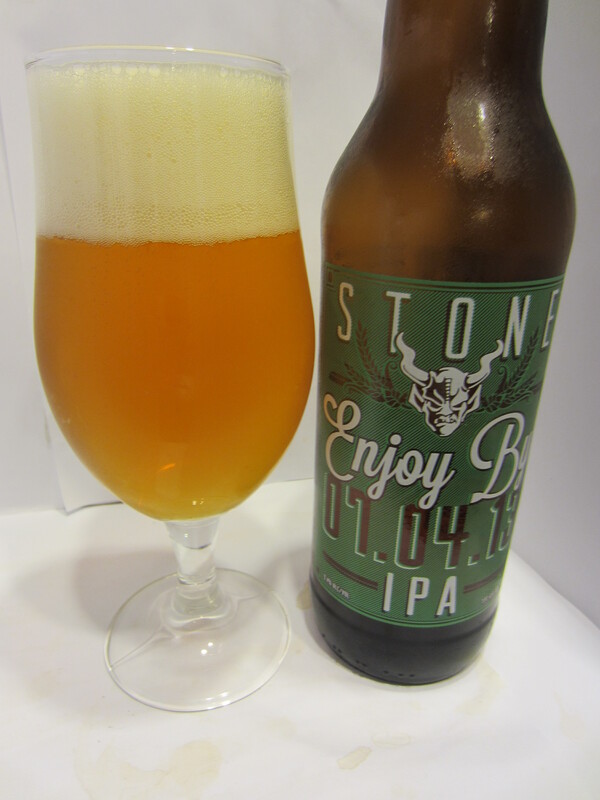 The mouth feel is medium-thick and smooth going down, with relatively mild bitterness considering this is a Stone Brewing Double IPA. The flavors match the nose well, with floral hops, grapefruit and lemon citrus, and just a hint of spice as well. The flavors that linger on the palate are the floral hops mixed with a small amount of malt sweetness, but the hops are definitely the star of the show. I’m not sure if it is just an extremely effective marketing ploy by Stone playing tricks on my subconscious, but my first impression of this beer is of how fresh it tastes. I am also amazed at how easy to drink this 9.4% ABV brew is. 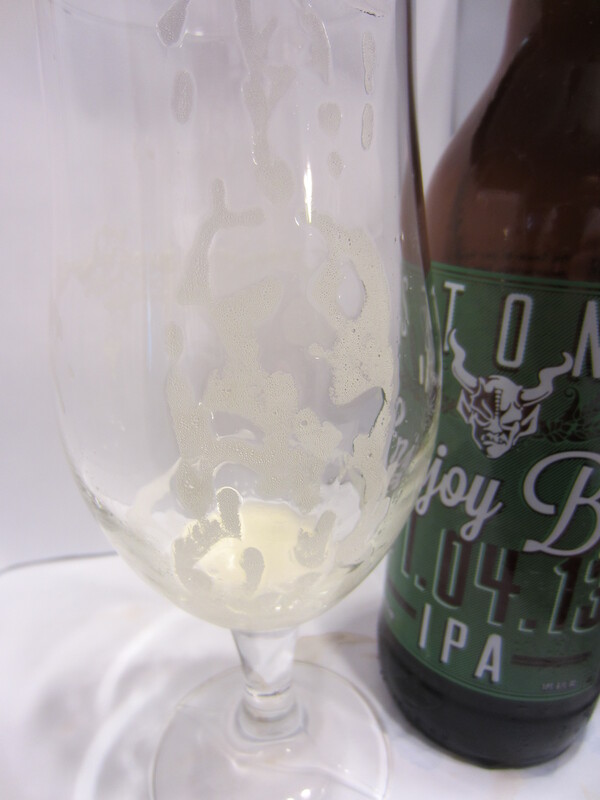 The is no discernible alcohol taste, and the smoothness makes each drink go down easy. 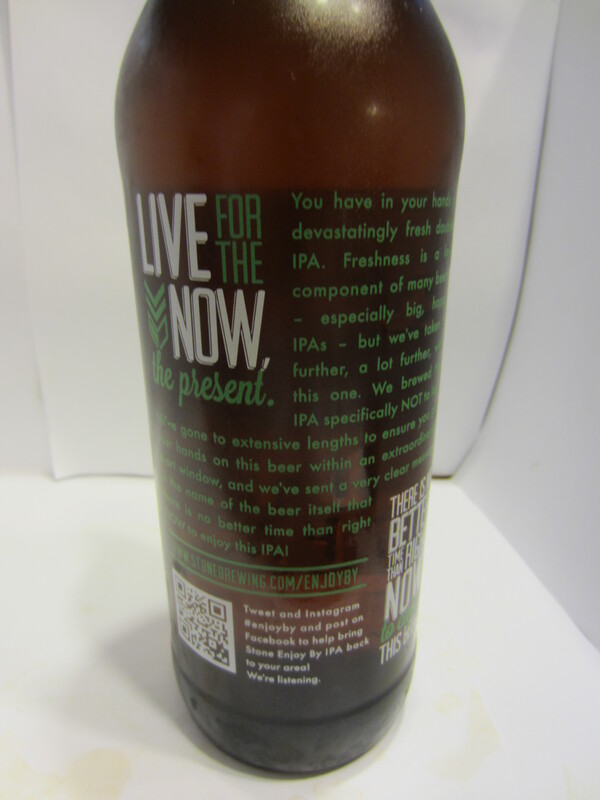 This is the perfect IPA, one that would likely please any craft beer enthusiast’s palate. 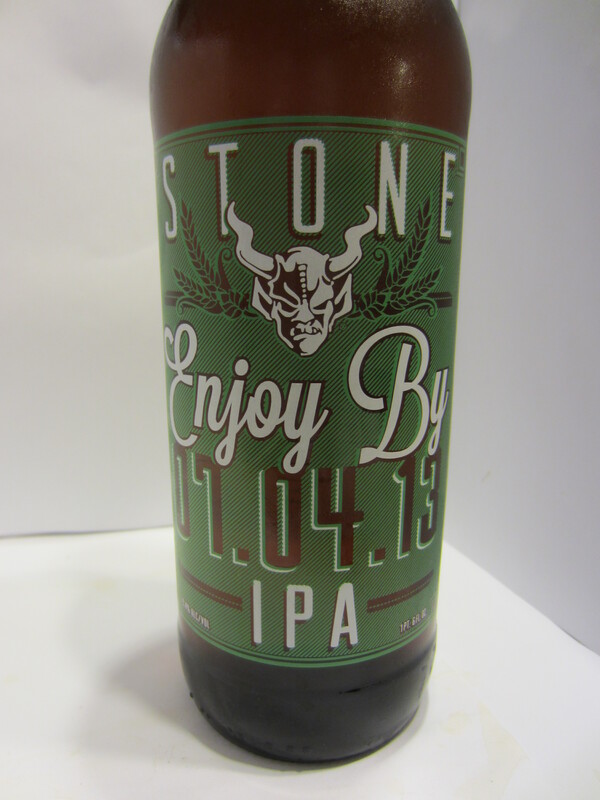 The bitterness is prevalent, but toned down compared to some of Stone’s other big IPAs/ales. 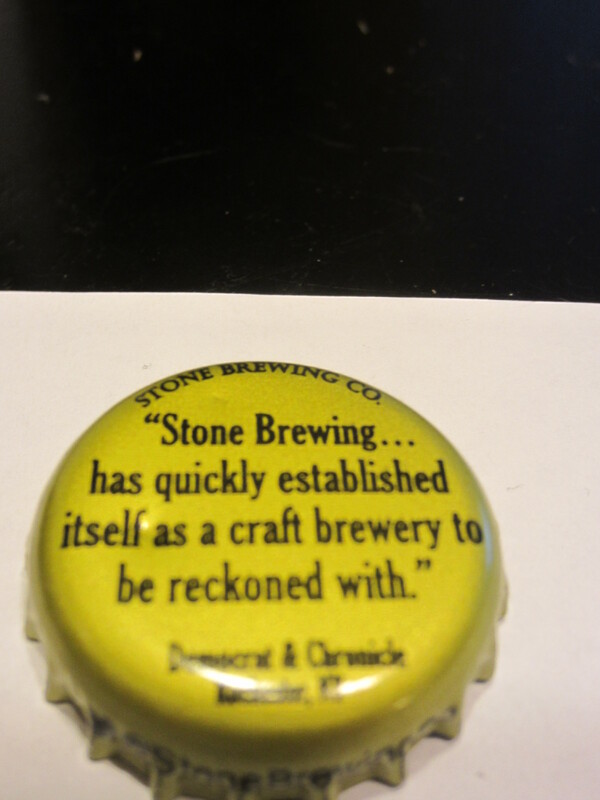 Impressively, that is accomplished without sacrificing any of the skillfully crafted flavor profile. 9/10.